In many homes all over the UK damp can be a real issue to overcome. As the inside of your home is prone to damp problems all year round, it can be susceptible to arising damp issues and the costs that brings. In order to avoid problems, damp proofing your cellars and basements is the simplest route to take and also the cheapest. With tanking you can avoid damp repairs, costly replacements and damp damage. At Aquafoss we work with numerous homes, which is why we know how important it is to protect your home. Our helpful guide on tanking your home gives you guidance on what this is, how it is carried out, and how it can benefit you. The term damp refers to moisture that is found in various forms throughout a building. 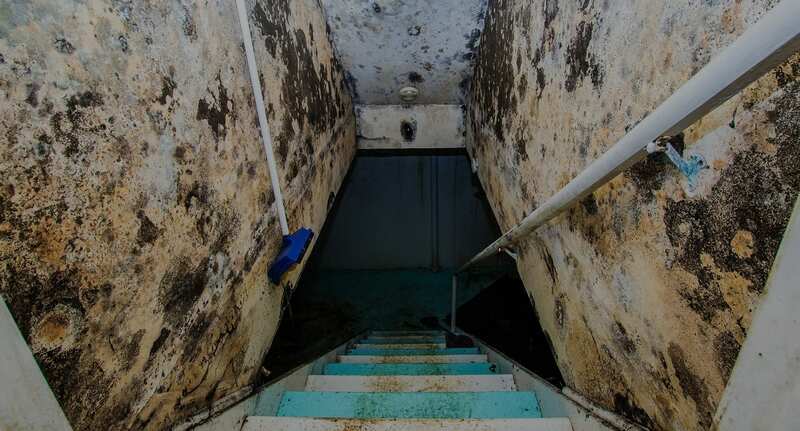 Often leaving behind a visible trail of moisture and damage in its path, damp can be a serious problem when left untreated, especially to your property structure. A basement is often the most affected area in a property and also one of the most practical spaces you will have. Regardless of what you use the space for, you need to damp proof the area as soon as possible. Damp can easily penetrate through walls, ceilings, floors, leaving visible and hidden damage. After a certain amount of time, it will be too strong to stop in its path. It is incredibly important to discover what the root of the damp problem is so you can stop it before it causes any further damage. With damp arising from a number of issues, it is important to know which damp is present and what to look for. Penetrating Damp – This occurs when moisture seeps into the wall, leaving behind clear visible signs on the inside of the wall. It can also travel through walls, windows, roofs and more, damaging plaster, skirting boards, flooring materials and can lead to mould growth. Rising Damp – Starting normally on your outside walls, it can appear from the ground level and rise up throughout your home as it is absorbed further. This form of damp needs to be stopped instantly to avoid more damage and to stop condensation also appearing. Lateral Damp – Similar to Rising Damp, this often has an instruction point from an outside wall, missing tile, overflowing gutter, or leaking pipe. You should look for woodwork damage, dark or damp patches, crumbly and wet plaster, and mildew within crevices. Keeping damp out of your home doesn’t have to be difficult and should always be discussed with a professional. Finding the best solution for your home, we are able to advise on older and newer structures to make sure that you are no longer prone to damp. To add to this we are also available to deal with the repercussions of damp. The best way to completely damp proof your home is to tank your basement area. By properly damp proofing your home, you can avoid rising damp. Often seen as a traditional way of damp proofing, tanking is the application of a liquid coating to damp masonry. Once successfully installed, this will cure to create a waterproof barrier between the inside and outside. As well as preventing mould and damp from developing, tanking can help to prevent moisture or water from entering a building. However, it is important to remember that tanking should never be seen as a quick-fix. All contaminated plaster needs to be removed before any tanking is carried out. This ensures that the problems are treated rather than covered over. There are 3 popular ways to tank wet walls in homes, including cement based slurry, liquid bitumen coating and membranes. Cement Based Slurry – This is applied using a soft brush on to a damp but clean surface, including block, brickwork, stone and render. As it is not considered a true vapour barrier, breathing materials also need to be added. This form of tanking is ideal for below ground in basements and as an exterior coating on walls. Liquid Bitumen Coating – Sometimes difficult to apply, the coating can be added to brickwork, stone, render and blocks. It can be prone to separating from the wall, which is why it is better for smaller, non-critical jobs or use on external coating. Membranes – This is a studded plastic sheet which is fixed to a wall using tape and plugs. These sheets are simple to apply and enable easy ventilation between a wall and the membrane itself. Whilst this is not seen as tanking by some, it is still a popular method of preventing damp. Whichever of these methods is used, they will all make sure that your walls are kept dry and damp free. To find out more about tanking or to get an expert opinion, simply give us a call on 01525 374406. Our team are here to make sure you get the best possible service in Leighton Buzzard and the surrounding areas. Navigate to our handy contact us page for further details or to contact us regarding tanking your home.